CEOS sends a big congratulations to the Japan Aerospace Exploration Agency (JAXA) for successfully launching the Himawari-8 satellite into space on October 7, 2014. 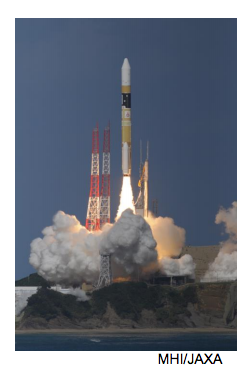 Himawari-8 was launched via the H-IIA Launch Vehicle No. 25 from the Tanegashima Space Center in Kagoshima, Japan. 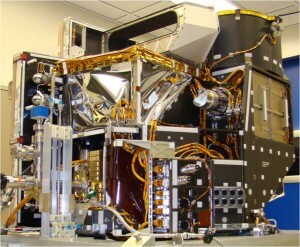 Himawari-8 will be operational by 2015 and operated by the Japan Meteorological Agency (JMA). JMA has operated geostationary meteorological satellites since 1978, producing data that help prevent and mitigate weather-related disasters based on monitoring of typhoons and other weather conditions in the Asia-Oceania region. Himawari actually means “sunflower”, and this weather-monitoring space-sunflower will provide potentially life-saving weather data over the East Asia and Western Pacific regions for the next 15 years. To ensure the robustness of the satellite observation system, the launch of Himawari-9 is also scheduled for 2016. Learn more on JMA’s Himawari-8 website.